Born in North Yorkshire in an area perfectly placed by coast, farmland, woods and moors, she grew up with an appreciation of for her surroundings and a constant urge to get her hands dirty! Her work is often inspired by the countryside's flora and fauna, by their form, texture and movement. "I was constantly drawn to making things, from anything and everything I could find and knew that no matter what I did in my future I would have to keep creating. I would never have known at the time that Blacksmithing would become my creative outlet". After studying Art and Design at A-levels, followed by 3D Contemporary Craft at York College, she left University with the intent of finding work in any kind of creative business. A local Blacksmith was thinking of taking on another apprentice and she did not hesitate to give it a go. 7 years and a great deal of burns and blisters later, she is now an Artist Blacksmith in her own right. 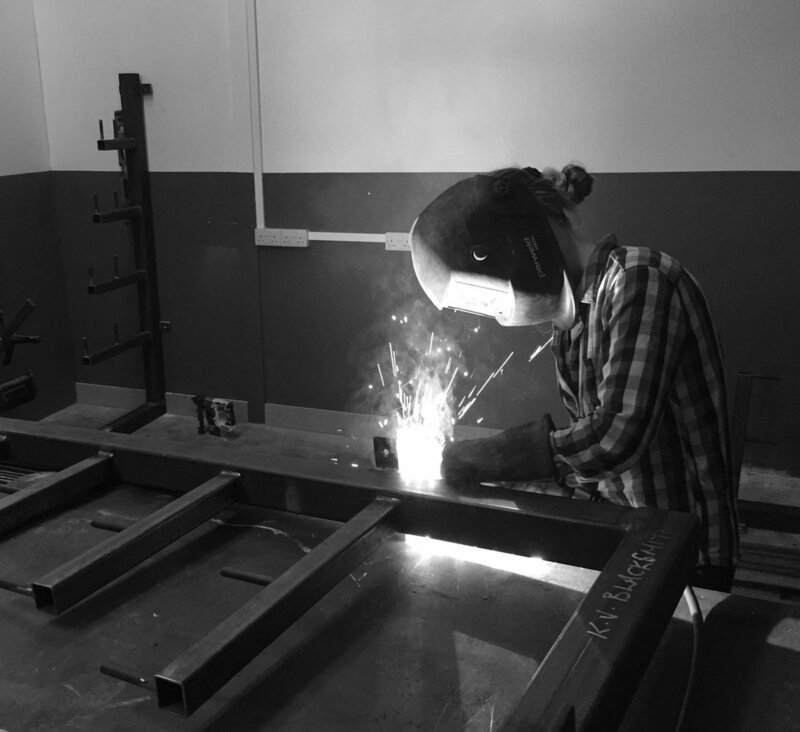 Those 6 years consisted of a 4 year apprenticeship at Godbold Blacksmiths, where she also learned modern fabrication skills, with 2 years of traditional training at Hereford Agricultural College (Design Forge Skills). "It is not glamorous or easy work, in fact its hot, sweaty and dirty, but the final products you can create are a direct result of your physical efforts and imagination, making it all worth while". 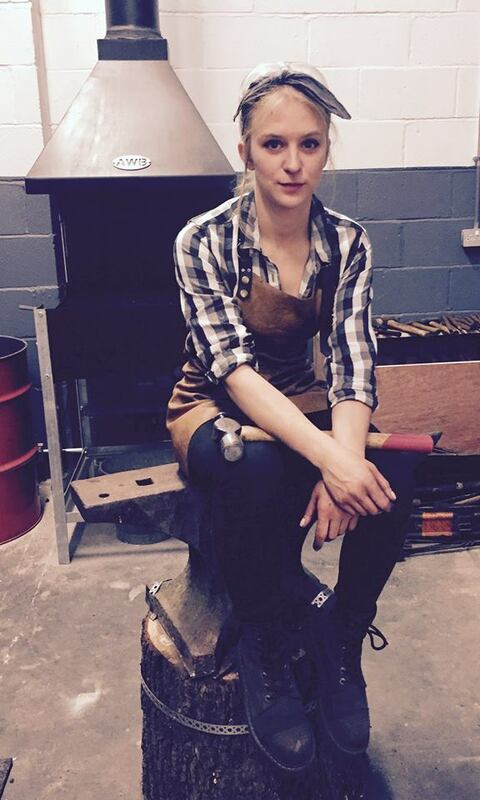 Katie Ventress in the forge, trained in traditional blacksmithing and modern fabrication techniques. Hand forging a simple scroll over the anvil, the steel is heated in the fire before being tapered out and formed into her art work. Fabricating the steel stock rack for the workshop.